Onego logistics holding and Japanese Windpal will develop wind power and shipbuilding in the Russian Far East. 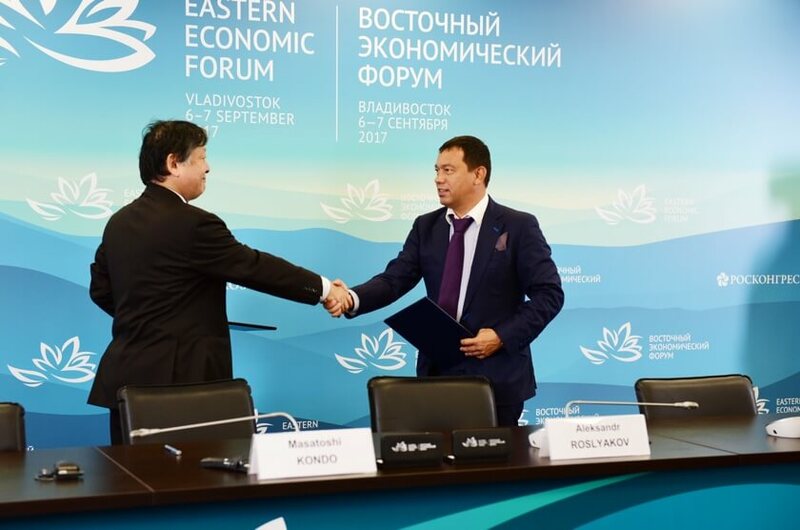 At the Eastern Economic Forum, the international logistics holding Onego (member of RAWI) and Windpal, one of the leading Japanese companies specializing in projects in the field of wind energy, concluded a memorandum of cooperation. The agreement provides for the exchange of experience and technologies, as well as joint work on a comprehensive analysis and assessment of the prospects for the application of wind energy, including the construction of wind power generating facilities in the coastal zone and on the shelf of the Far East of Russia. In addition, the parties will consider the use of Russian shipbuilding facilities in the Far East for the construction of a specialized marine fleet maintenance fleet. Experts estimate that to meet the needs of the Asian market, until about 2025, about 150 relevant specialized vessels will be commissioned. The memorandum presupposes the training in Russia of qualified personnel for work in the shipbuilding industry in the field of a specialized fleet. Also, Onego and Windpal agreed to establish a joint center for the training of young technical specialists and engineers on the basis of the Far Eastern Federal University (FEFU). “Cooperation with the Japanese partner will allow the company to develop in the fairway of the most innovative technologies and will be an additional incentive for the development of our projects in the Far East, contributing to the development and prosperity of this important and distinctive region of Russia,” said Alexander Roslyakov, Onego’s CEO. Windpal is an active member of the Japan Wind Energy Development Association, is developing projects related to the construction and operation of wind energy parks in Taiwan and Japan. Among the main activities of the company are engineering, consulting, pre-project environmental impact studies, technical design and preparation of a general project, as well as management of finished facilities, their service and post-service services, including training of local personnel and provision of a specialized fleet for servicing offshore turbines. Onego is an active member of the Russian Association of the Wind Industry, RAWI, an international vertically integrated logistics holding company working in the field of sea and river transport. The main activity of the company over the past 7 years has been the implementation of northern and Arctic projects. An unrivaled team of professionals, its own technical fleet and reloading complexes in the Arctic port stations allow carrying out any logistic task of complexity in the northern regions of Russia. The company successfully participates in the construction of unique coastal, underwater and land objects for the oil and gas complex and carries out their post-warranty technical management.